The award winning, non profit Ramsey Farmers’ Market kicks off its 7th season with their annual Strawberry Festival hosted by the Ramsey Woman’s Club on Sunday, June 5th from 9AM-2PM at the Main St train station. Complimentary strawberry shortcake will be served, as market goers stroll the market shopping for fresh, local produce and products from over 45 farmers and food purveyors, enjoying music, crafts and special guests. The 7th season at the Ramsey Farmers’ Market promises to be another fantastic season offering organic and responsibly grown fruits and vegetables, artisan breads and cheeses, gluten free baked products and prepared foods, gourmet olive oils and balsamic vinegars, free range eggs, local wine, fresh fish directly from the Hampton Bays, prepared organic foods, homemade pastas and sauces, gourmet tea, artisanal coffee, local honey freshly cut flowers, gourmet artisanal ice pops, nuts and dried fruits, pickles and so much more. Over the past 6 seasons, and again this winter as the market continues indoors December through March, loyal patrons have enjoyed coming each Sunday to purchase locally grown, seasonal produce and the freshest products, while meeting the farmers and vendors and experiencing the value of eating fresh foods and, most importantly, meeting the people who are instrumental in bringing these products to the market. 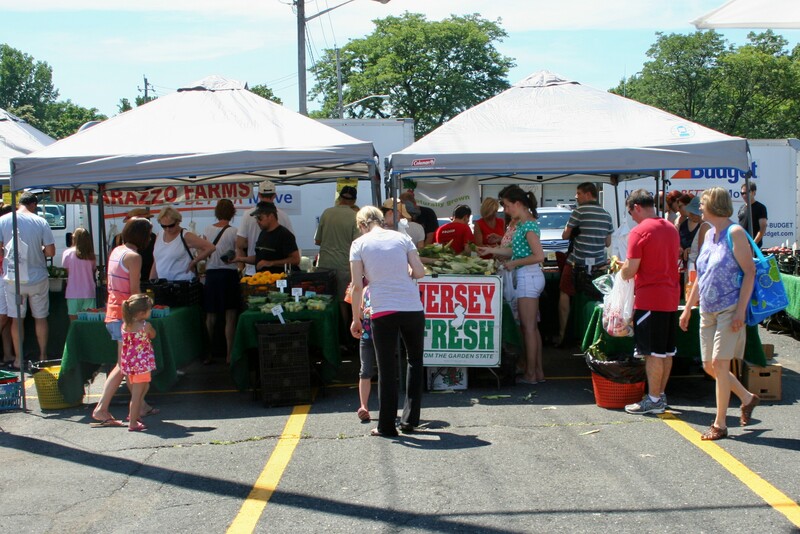 The Ramsey Farmers’ Market outdoor season runs each Sunday 9AM-2PM at the Ramsey Main St train station, June through Thanksgiving, rain or shine. This season the market will host several Artisan’s Corners, hosting local artists and crafts persons, along with scheduled Sundays featuring chefs demos and surprise Featured Vendors. The market continues its commitment to support local farming and a sustainable community, focusing on recycling, ways to reduce your carbon footprint and community wellness. The market’s Pay It Forward program collects donated non-perishable foods from market patrons and fresh produce from farmers- all delivered to the Center for Food Action in Mahwah, NJ each week. The non profit Ramsey Farmers’ Market is sponsored by the Ramsey Historical Association and supported by the Borough of Ramsey. Visit http://www.ramseyfarmersmarket.org for a complete list of vendors, festival and special events, music, chef demos and dedicated business sponsors. The market is always free and free ample parking is available. Call 201-675-6866 for further information.